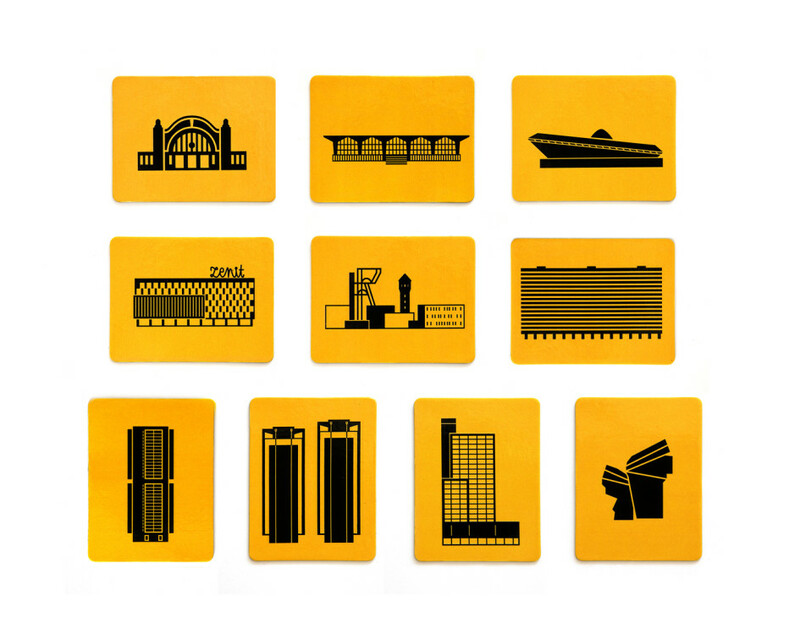 Katowice Icons is a set of pictograms representing the city’s most iconic buildings. You can download them as a font under a free license and use in any manner in other projects. The symbols of characteristic Katowice buildings are accompanied by pictograms of people and objects characteristic of the industrial Upper Silesia. The project was completed as part the exhibition Appetite for Radical Change. Katowice 1865-2015. The creators of the exhibition were faced with the need to create a unique visual language which, in combination with maps, diagrams and numerical data visualisations, would help illustrate the most important processes related to the demographic, spatial and economic development of the city. The inspiration came mainly from the interwar and post-war Katowice iconography with particular focus on elements relating to German Bauhaus. In addition to the minimalist black and yellow colour scheme, the FF Mark typeface was used to reference the simplicity and geometric forms characteristic of modernism. In formal terms, the project bears a direct reference to the Isotype Institute and the universal visual language created in Vienna in the interwar period. As an inspirational point of reference, the exhibition creators used the pictograms designed by the graphic artist and designer Gerd Arntz and also Otto Neurath’s book Modern Man in the Making (1939), presenting the history of modern society in an accessible way. The pictograms can be used in various ways, including educational publications and the city’s promotional activities/merchandise. A set of 10 magnets with silhouettes of Katowice’s architecture icons from different periods is now commercially available. The magnets are available in the following shops and bookstores: Bookiestra, Geszeft, Gryfnie, Zła Buka.